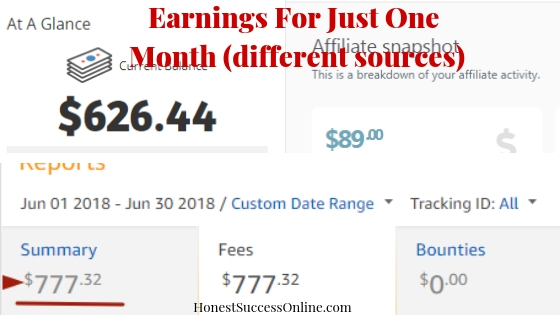 If you are reading this article I assume you are looking for ways of making money online, would like to work from home, are keen on blogging and monetizing your site or would like to learn more about affiliate marketing. You probably have heard about Wealthy Affiliate and would like to know more about it before you make a decision whether you should join them or not. Read my in-depth review of Wealthy Affiliate. 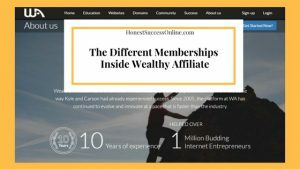 In my post, I am going to explain the different types of membership inside Wealthy Affiliate University; how much it cost and what you will get for the price. If you don’t know what options are best for you, don’t worry, I will show you which membership might be best for you. Everyone can open up an account with Wealthy Affiliates for zero money. The best part is that you don’t even need a credit card to sign up. That is perfect for peace of mind. Once you have signed up, you will get asked to add a little blurb about yourself and to add a profile picture. How much you want to write about yourself is entirely up to you. It is a fantastic way to introduce yourself to the Wealthy Affiliate community. My advice is to use these seven days as thoroughly as you can. The first week of unlimited access is designed to help you in making an informed decision whether you would like to become a premium member or stay as a free member. After the seven days are up and you decide you want to stay as a free member, you will get limited access to the Wealthy Affiliate tools. This is fair enough because you don’t have to pay a dime. The features you will get for free are still impressive. Access to affiliate boot camp training phase 1. You can be a free member forever! There is a special bonus available in the first week of opening your free account. You can upgrade to a premium membership for a discounted price of $19. This is called ‘the action-taker’ bonus. That was me by the way because I knew WA was the real deal. The $19 offer is for one month only, where you can explore Wealthy Affiliate in more detail. When the first month is over, the regular premium membership of $49 applies. That brings me to the next membership type. $49 might sound like a lot but I will show you what’s included in the price. … and the list goes on. In my opinion, these are the most significant features. For a great keyword research tool like Jaxxy you would pay a minimum of $19 a month. With WA, the keyword tool is included in the price. It is basic but sufficient for what I need. You have access to over hundreds of replays of live webinars which are loaded with updated information about finding a niche, content building, branding, email marketing etc. etc. – highly valuable information. Just to clarify, that is 25 free siterubix websites plus 25 domain websites you own. If I take the average hosting price with another provider at around $10 (very basic package), it would cost me $250/ month. With Wealthy Affiliate, it is all included. I could go on and on but I guess you get my point. $49 is incredible value for money. But what if I show you a way how you can save $20/months on the Premium membership? Interested? Then let’s have a look at our third option. Instead of paying monthly, you can also sign up for the annual membership which costs $359 for the whole year. That is a saving of $229!!! It translates to a monthly membership price of around $29.92/month – less than $1 a day. I made the decision to sign-up for the annual membership a few months ago and loved it. I don’t have to worry about monthly expenses and can focus entirely on building my online business. Something happened to me when I decided to go yearly. I am more than ever committed to work hard on developing my online business and know for a fact that the Wealthy Affiliate training works. In my humble opinion, Wealthy Affiliate is the best online training platform to teach you everything you need to learn about making money online. Don’t just take my word for it. Try it for yourself! It is free to join and you don’t need a credit card. Oh, hang on a second. I promised you to find out which membership is best for you! This is for absolute newbies who would like to get started but are not sure yet about the whole making money online business. Fair enough, this ‘building website business’ is not for everyone. I know, many of you have been scammed so many times and lost a lot of money. You want to check what Wealthy Affiliate is all about. Maybe it is another scam, right. Well, you do not need to fear. You can stay as a free member forever. No one is ever going to ask you for money. Ever! This is the next step for everyone who is serious about building an online business the proper way. You have had time to check out Wealthy affiliate and it’s many features. The step by step training modules, the community support and encouragement, the live video classes and the keyword research tool, just to name a few. You have discovered the value you get for your money. The next logical step is to go ‘Premium’. You know that online success doesn’t happen overnight. You want to focus on your website, building content and improve your search rankings. The turning point is at around the six to twelve months mark. You are an action taker and made up your mind. You are passionate about your internet entrepreneur journey. And of course, you want to get Wealthy Affiliate for an incredible price and pay less than $1/day. As I said before and I stand by it: You won’t find another training platform like Wealthy Affiliate. 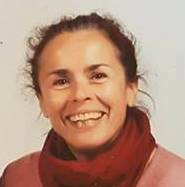 It has helped me and other internet marketers, bloggers and online entrepreneurs to succeed in the vastness of the internet world. Please don’t just take my word for it. I would like you to try Wealthy Affiliate University for yourself. As soon as you join, you can expect a personal welcome message from me. I would love to be part of your journey to online success and I am more than happy to be your mentor every step of the way. If you have any questions or you are feeling a bit overwhelmed by all these options, please send me an email to anke@honestsuccessonline.com or leave a comment below.